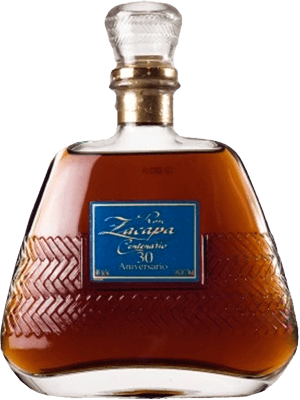 Have you found an online vendor selling Ron Zacapa 30 Aniversario? 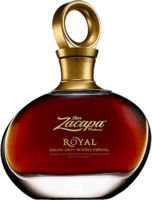 I am a huge fan of this rum, and I really think that this is one of the best products from Zacapa. When you give the glass a swirl, the rum just keep on hanging on the glass for a very long time, like was it thick oil. It has a lovely sweetness with lot's of spice in the nose, and is offering, oak, vanilla and chocolate. It's so silk soft in the mouth, and just feels like syrup, truely delicious!! On the palate I find notes as, oak, chocolate, caramel, vanilla, spice and with a touch of pebber. The aftertaste is very long with a heavy sweetness. En comparaison avec le Zacapa Solera 23, on pouvait noter la finesse de l'âge, plus long en bouche. On y décèle des notes de cerise qui apportent une profondeur à ce rhum déjà de classe supérieure. Heureux d'y avoir goûté. Toutefois, la différence de goût et de prix avec le Zacapa Solera 23 peut tout de même décevoir. This rum is the top for me. Did not taste any better than this one. Typical zacapa taste, bit sweet, coffee scents, some vanilla and spiciness. But in this product you can feel something special. Some special as when you rides an old cadillac. Of course everything in perfect balance and in perfect smoothness. Unfortunately very rare. Grab one if you can. Gets the total 10/10 on my own scale. It comes in a very nice carafe and packing, the taste is complex but very sweet (you can easily find notes of vanilla). It is quite long in the mouth and doesn't burn too much. This is the kind of rhum that you can offer to someone who wants to discover rhum without taking the risk of it ending up mixed up with some coke. Now the price is quite high (~130€ around here) but you can find it online or at the airports for 80€, and for that price it really is a must have for the rhum lover. eun richtig guter alter Zacapa,harmonisch ,langer Abgang,sanft,eine Aromenbombe. Im Riedelkoffer ein wunderschönes Sammelobjekt welches vermutlich in einigen Jahren Preise im 1000 Euro Bereich sehen wird.Ein Weltklasse Rum den es wohl so nicht mehr geben wird.Für mich nur durch den black Label zu Toppen. well, it's one of the best rum I have a drank, fabulous finish and aftertaste. I will remember it long time. This sophisticated latina is always my final purchase when I return from Latin America. This is my personal gold standard for rum for the last 7 years. I will not bore you with flowery poetic words, but if I could sum everything I love in a spirit, this is it! After trying this one I understand, why so many others rated this rum with 9 or 10. An excellent rum for a special evening with special friends. Imho a little too much of almond to get a ten, but really nice stuff. This is a great rum. 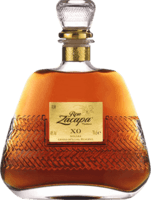 It is substantially better than the Zacapa XO and on par with the Straight from the Cask, imho, but just a tad less sweet. Has a nice sweetness to it with caramel, marzipan, oak, and sherry. Again, an exceptional rum! 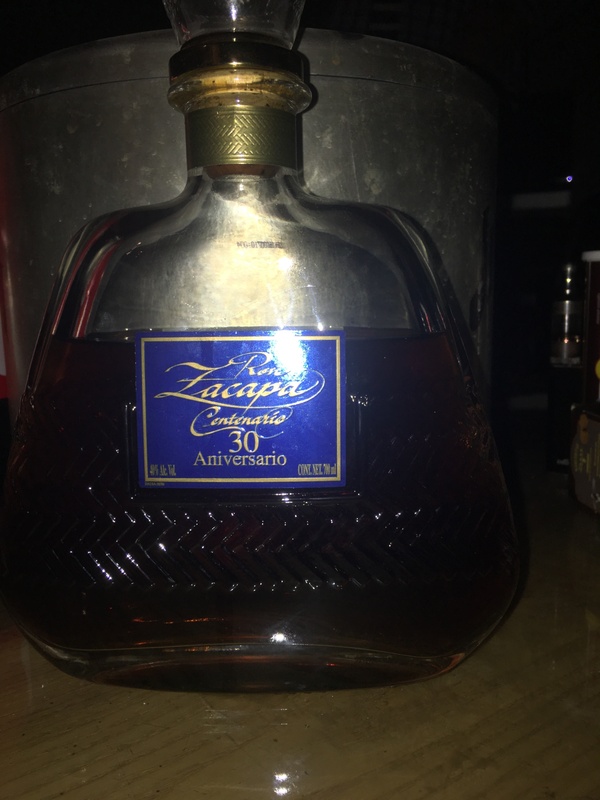 A Zacapa that is better then the XO.. This one is more intense and darker then it´s little brother the XO.. The XO is perfect.. But this one is better..
Einer der besten überhaupt. Ausgewogen in jeder Hinsicht. Un rhum de qualité qui donne beaucoup de plaisir. Très agréable. And taste it's vanilla with a hint of coffee and melass. One of my favorites. This is one of the best rum I ever had. Excellent taste. This rum is soft like silk. Sweet and clean like butter. The color is gold 18 KT . I think one of the best rum i never taste. This rum is very gentle, no special taste, no hard tones. As other Zacapa rums isn't to sweet. Super lækker fyldig og sødlig duft. Samgen, lidt bedre / lidt mere end af den samme gl. lillebror 25 års. Superb smooth very tasty rum. Plenty of flavour going on with this so savour it, you won't be disappointed.